Too Cute to Give the Cat? Here are some photos of a rare thing. 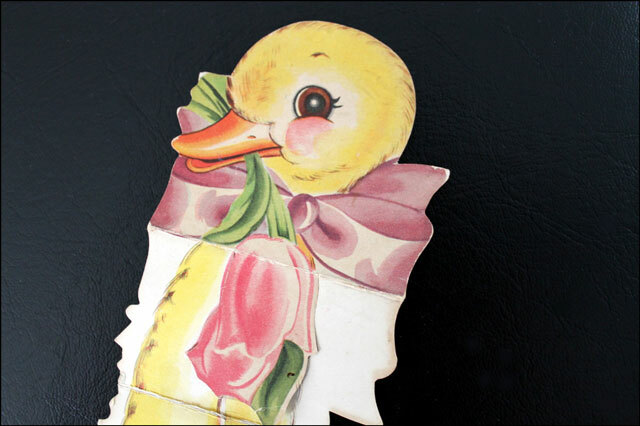 It is a vintage Easter card that I think dates back to around 1945, making it 68 years old. 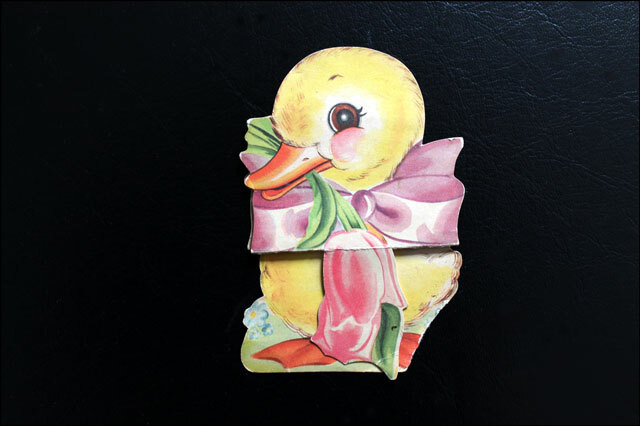 The reason I am so specific on the date is that I received it with a group of old valentine cards that I bought off ebay, and which were positively determined to be on that vintage. So this Easter card was in amongst her old valentines. It wasn't mentioned in the listing on ebay, so was a complete surprise to find in there. 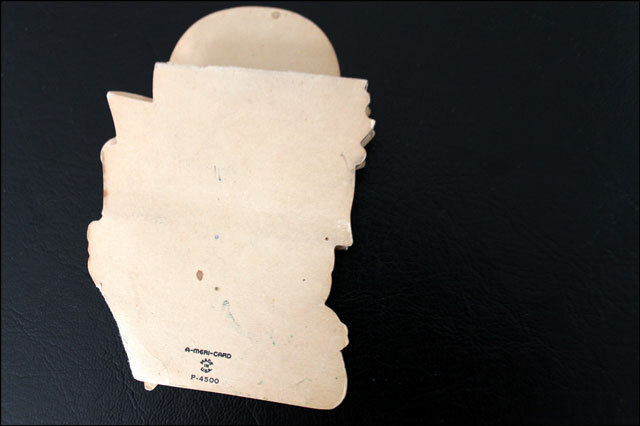 And it is unsigned (as in nobody has written on it) making it more valuable in the relm of vintage paper things, keeping in mind that 'value' is based on the desire by collectors, and not in a monetary way. It isn't worth a lot money-wise. 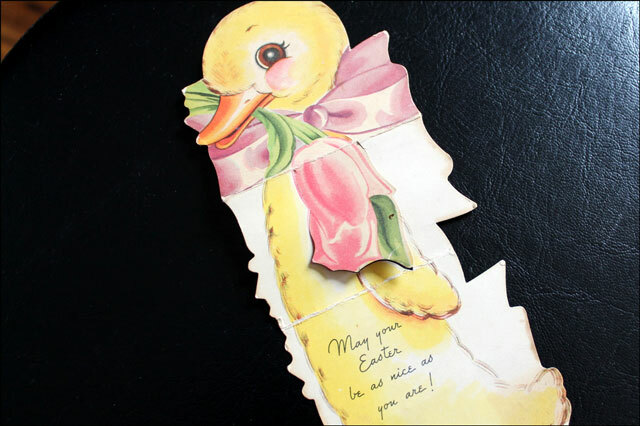 In my years of researching and collecting vintage greeting cards, I have yet to come across another sample of this style of Easter card, one made like a valentine card. 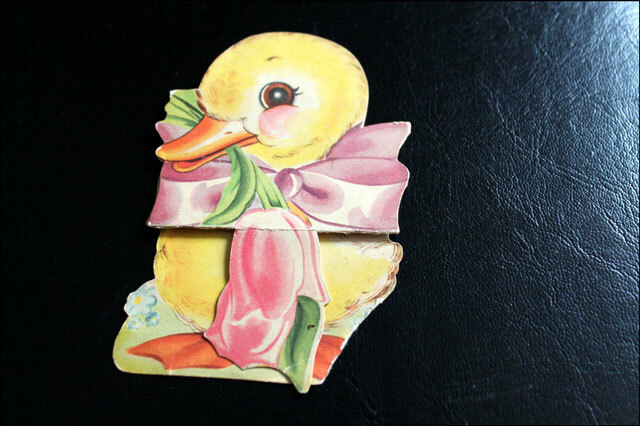 Yes, I have found plenty of examples of vintage Easter greetings, dating back to the late 1800s, but they take the form of a standard postcard. Then later, the form of a regular folded card. But this die-cut style I have not seen. 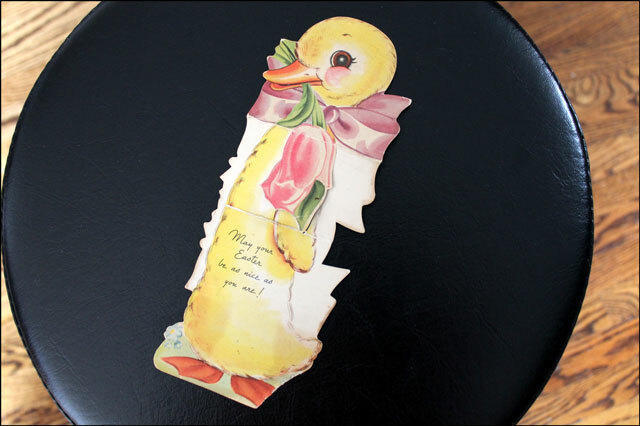 It makes me curious to know if children exchanged Easter cards back then, as they did Valentines? I wish you well and send grateful thanks that you visit me here. Thank you Kaisa :) Happy Easter to you too.